Host your preferred tax software on the cloud and get flexible and secure solutions for your tax process. With our high-performance computing servers, leave the hardware-related concerns behind and experience a seamless tax filing process. 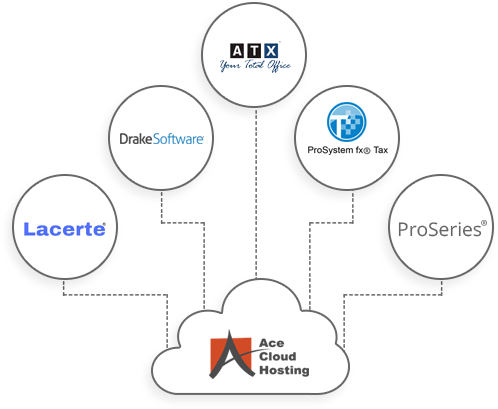 At Ace Cloud Hosting, we offer customized solutions for your tax-related operations so that you choose the desired specifications and pay as per usage. Our 24/7 dedicated support makes sure that all hosted tax software issues are resolved in time. We ensure the security of your data through deployment of advanced security safeguards like end-to-end encryption and multi-factor authentication. Tax Software Hosting Solutions for You!